Westies in Need (WiN) is always adding new links to our site...so please check back often. Westies In Need has partnered with Animal Wellness Magazine,who will be generously donating to us 25% from every subscription that is sold if the unique Promo Code is WIN is used. Animal Wellness Magazine is a fantastic resource for life saving and life improving education as well as featuring a section focused on rescue organizations with stories from across the country. We really appreciate your support and know that Animal Wellness will make a difference in your Westie's life. Dermacton cream and spray offers you a 100% natural alternative. It is a fantastic new skin product which is gentle and effective for all canine skin problems. It contains a special blend of over 13 pure essential oils and herbal extracts, obtained from across the world, which naturally soothe any itching, calm irritated skin, and promote rapid natural healing and hair regrowth. Westies in Need uses this cream for all of our Westies who come into our rescue with skin issues. Just take a look at one of Westies, Sugar, who looks so much better after Dermacton. 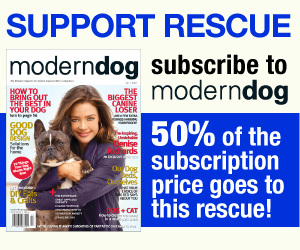 We are proud to announce a subscription sponsorship program with Modern Dog Magazine. This magazine is like no other publication. This is a great lifestyle magazine for modern dogs and their companions!!!! The good news is... if you subscribe to Modern Dog magazine by clicking on the link, 50% of the subscription price (digital, back issues or paper subscriptions!) goes to our Westies in Need rescue! We are pleased to announce another wonderful sponsorship. The Healthy Dog store is now carrying the Mercola Vet supplements and has offered all Westies in Need folks a 10% discount on all supplements they carry!!! They carry: the Digestive Enzyme, the Pro-biotic, Joint Supplement, Spirugreen, Krill Oil and dental bones. 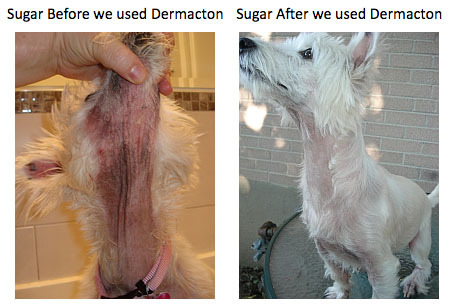 Many, many of our Westie people already use the Mercola products (they are quite amazing!!!) but in the past have had to order from the US---finally a Canadian store has brought in Mercola---so no more waiting for shipments from the US and dealing with customs and brokerage fees!!!! The Healthy Dog Store will ship right to your door. We can not thank them enough! To contact the Healthy Dog store to place an order, call 905-406-3647 or e-mail them at fillmybowl@thehealthydogstore.ca or if you shop online use the promo code "winfriend". It will apply your 10% discount to any supplement, including kits like the Itchy Skin Kit. Do you ever purchase medication for your Westie???? If you do, we have made it VERY easy for you to get discounted medication and support our rescue at the same time! The Pet Pharmacy is an Ontario based company that carries over 10,000 products and medications for pets…from flea and tick medication to prescription items. If you are ordering a prescription medication they will be happy to contact your veterinarian for a prescription and orders can be picked up at no charge at their location in Corcord, Ontario or they can be mailed via Canada Post...all at discounted prices!!!! The program is simple… when you complete an order you will be given the opportunity to select a beneficiary organization and when you click "Westies in Need"- the Pet Pharmacy will donate a % of your order to our rescue! Specializing in unique dog breed merchandise, such as vinyl decals and signs, for over 140+ different dog breeds. A tireless rescue group in Quebec. They are quite amazing. Also, click here to see a very cute YouTube video they made. Get out your tissues!! They welcome dogs & cats to their pet friendly cottages on peaceful Purdy Lake, which is located between Bancroft and Barry's Bay on the quieter, southeast side of Ontario's Algonquin Park. There is no extra charge for pets. Established to help make life better for pets, animals and people and to assist animal-related charities. Canadian Pets & Animals Magazine donates free ad space to Westies in Need on a regular basis. 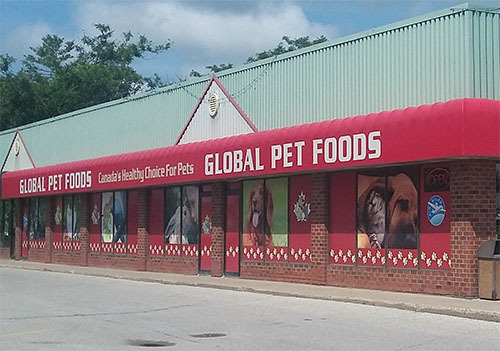 Global Pet Foods has been proudly serving the town of Orangeville and area since 1994. Specializing in natural, holistic & wholesome pet foods & supplements for a wide range of dogs, cats, birds, and small animals. We have the best selection of healthy pet food, toys, and accessories. Our friendly staff will ensure that you get the right pet product for your specific needs! We’ll even carry it to your car. This is the first book by the famous Westie, Hamish McTavish. Read about his family, his adventures, his trips to the seaside at Scarborough. Very cute...take a look! Created to help pets who need a new home and to help reduce the number of pets who may become homeless. They do this by directly supporting Pet Rescue Groups and by educating future and current pet owners. A wonderful service that helps lost pets find their way back home. 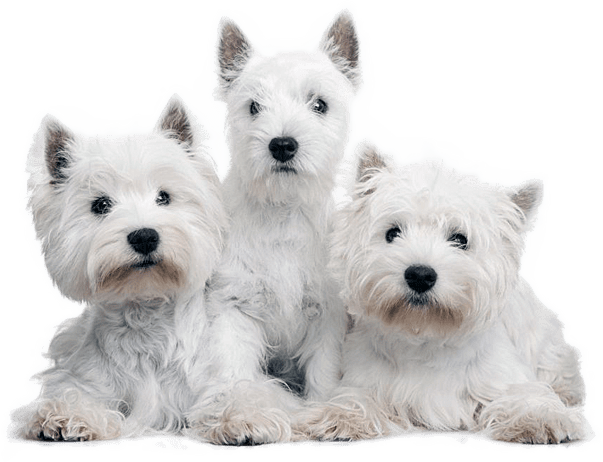 You can even add your own Westie as "safe" and if they ever go missing can change their status as "lost" and an e-mail is automatically sent to other members and organizations. HL Whitingham collars are some of the nicest collars we have ever seen. They are works of art-so lovely! We also want to thank them so much for donating some collars to our rescue! Ever wonder how smoking impacts your pets and how pets and families can be healthier without cigarettes? dedicated to making a premium raw diet for dogs and cats. We are pet owners ourselves and understand the importance of properly nurturing your canine and feline companions. We believe that raw feeding dogs and cats will nourish their true nature. We are proud to be based out of Welland, Ontario. We believe that all pets should enjoy a natural and species appropriate raw diet. We also believe our products and process allow Iron Will to provide the best raw diet for dogs and cats. An independent no-kill organization, located in Smith Falls, Ontario and is dedicated to promoting the well-being of all animals. It is a registered charity that survives on private donations, and receives minimal government funding and a wonderful supporter of our rescue. A great site that sells adorable and unique West Highland White Terrier Products. A wonderful supporter of Westie rescues! We handcraft professional marketing solutions that give our clients amazing websites which turn visitors into customers. We help strategize digital marketing campaigns that help businesses connect with their audience. We take the burden of managing your online presence, social media advertising campaigns and search engine optimization so you can put the focus back on your business. You and your pets can experience so many PAWSitive benefits by engaging my services as a petcare provider. Enjoy peace of mind that your beloved companions are safe in the hands of a caring professional. I am not a hobbyist; this is my profession and I am passionate about petcare! I specialize in one-on-one personal attention and affection, building strong bonds of friendship which cannot be matched by impersonal large group walking or the rotation of multiple care givers. Jo-Ann Gibson has been providing "PAWSitive" pet care services in the GTA west since 2013. Her services include daily dog walks, cat visits and overnight pet sitting in client's homes. Jo-Ann's goal is to help pets live happy & healthy lives through a combination of trust, love and responsibility, and to give pet parent's peace of mind when they cannot be at home with their companions. She is a lover of all Westies, has 2 in her home, is a yearly supporter of our fundraising efforts, and has much experience with the breed, having worked for many years with a registered West Highland White Terrier show breeder. Serving the G.T.A. West. A Canadian Distributor of the latest in Thermometry and other products for animals. Our mission is to provide the latest in infrared non contact thermometers, which prevent any cross contimination. A volunteer, non-profit organization dedicated to raising public awareness and educating the public at large regarding the cruelty and abuse associated with puppy mills, and the selling of puppy mill puppies via the internet, newspaper advertising, and pet stores. Through education and awareness we empower individuals to make informed and ethical choices when choosing a companion animal. PAWS fully supports and promotes the fostering and/or adoption of homeless animals via non-profit rescue organizations. Ottawa’s first full-service facility aimed at taking care of your pets’ final needs in a respectful and dignified manner. Our mission is to provide grieving families a personalised, respectful and dignified option for commemorating their faithful pets. This service will be provided with affection and utmost care for you and your pet. A family-friendly, community-based pipe band of both experienced players and new students. The band is a teaching band and is committed to promoting Highland piping and drumming by giving its members the opportunity to learn, perform and then teach. All instruction is carefully supervised by knowledgeable, skilled players who have years of experience playing with successful competition-level bands. Serving Pet Owners in the GTA, Ontario-at-Large. We provide support as well as an affordable means of achieving closure following the death of a beloved animal. Our hope is that Thistledown will help ease the pain following the death of your special animal friend. Wholesome Canine is owned and operated by a team of two experienced and accredited canine professionals with a combined 20+ years working with dogs. We opened the store to create a safe place to shop for your dogs whether you want to feed them cooked or raw food, provide natural supplements that actually work, or you just want to ensure your treats and grooming supplies are sourced ethically and are good for your dogs. We’ve put a lot of time and care into curating our product selection and each one has a place in the store and reason for being here. York Professional Pet Sitting Inc.
York Professional Pet Sitting Inc. has been serving the pets of Newmarket and Aurora since 2000. We have remained true to our mission statement from day one and pledge that we will continue to do so. The mission of York Professional Pet Sitting Inc., is to be an exciting and contributing business member in Newmarket and Aurora, providing quality service to pets and pet lovers. Westies in Need sincerely thanks the following photographers for their terrific Westie photos you see in the lower area of our website.